Here are the three twinchys I made for this month’s challenge. The main colors are my kids’ favorite colors and the threads came from my scrap bag and from my stash. The backgrounds are done in T Stitch. 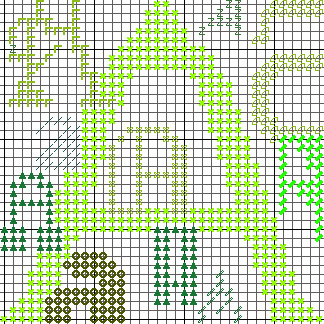 I used white Nordic Gold for the A, very pale yellow Kreinik for the green, and silver Kreinik for the T. All of these are thin threads, so that the canvas shows through. To make them, I made the middle letter very large and then found additional letters, many from Tink Boord-Dill’s book, Alphabets Tantalizing and Terrific, or from the Internet. 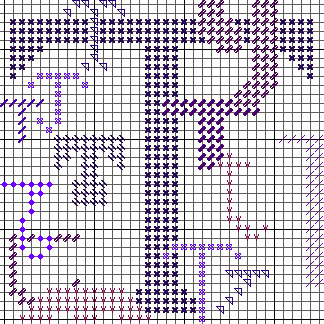 I arranged them around the central letter, some behind others, and stitched each in a different thread so they would stand out from each other. Some do this better than others. 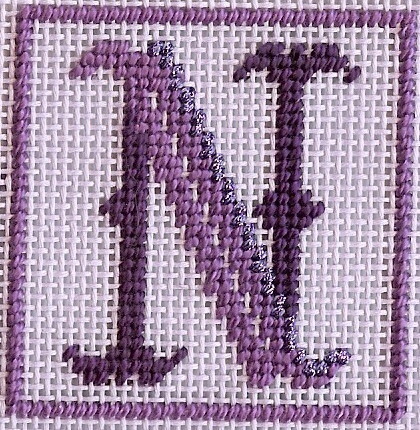 Here’s another delightful one from Nancy White, one of my friends on Stitchin’ Fingers. I love the use of the pale violet canvas, I think it really sets off the design. Another great Twinchy is from Jocelyn, another stitching friend from Stitchin’ Fingers. Jocelyn is from New Zealand and is an amazingly talented stitcher. 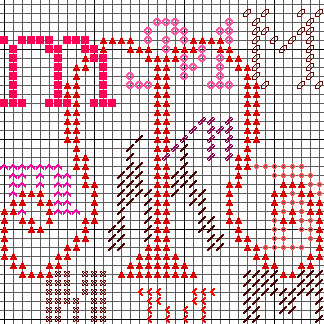 If you’ve heard about Doodle Needlepoint — that’s her idea. I am crazy about her J, which uses one of my favorite color schemes. Twinchies are so fun, so fast and so easy. Check tomorrow to see the theme for August. I’m madly stitching to get one done to show you. And if you have ideas for finishing them (even if you aren’t participating, post a comment, I could use the help.